If you are concerned about the quality of educational interpreting services provided for school-age students who are deaf and hard of hearing, then you are likely aware of the chaos that exists around these services in public schools across the United States. For you, this book is a must read. 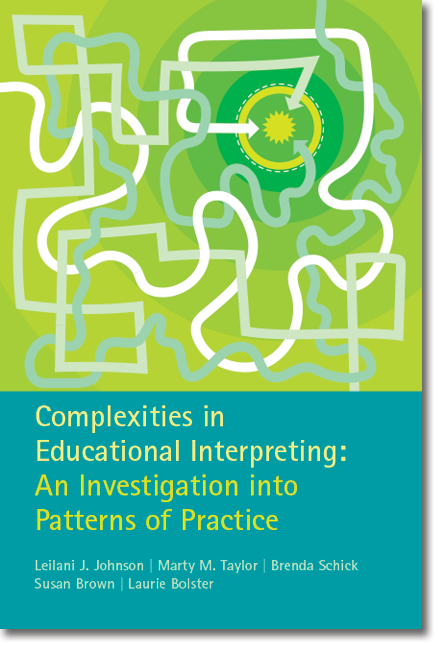 Experts’ assessments of the K-12 interpreting field. Recommendations of professional standards for educational interpreters. © 2019 aslinterpreting.com - Official Site.